The final touches have now been made to a Collection of work based on the mystical and exotic contours of minarets, mosques, temples and houses of Rajasthan and Bukhara and Samarkand in Uzbekistan. Even their names sound evocative. The idea for these pieces ‘Camel Nights’ had initially been conceived at this amazing camel trading festival which takes place each year at the full moon in November. 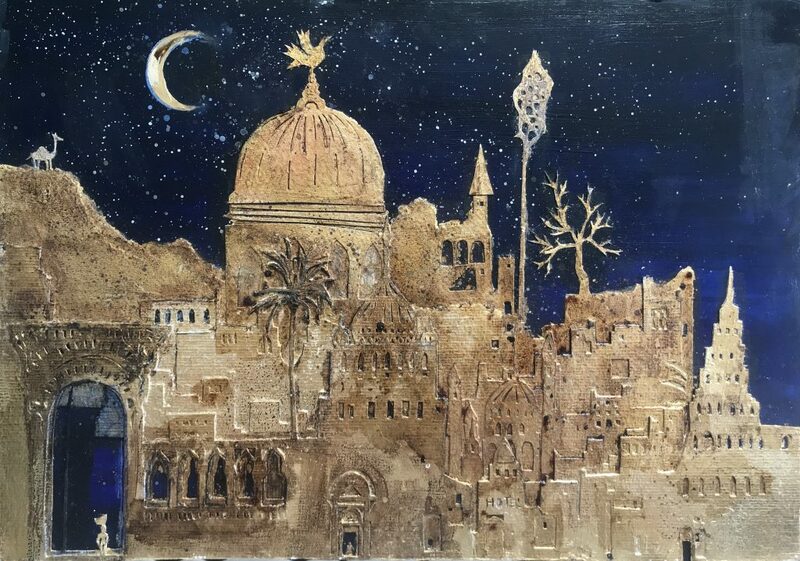 The pieces are mixed media gold leaf collages using a variety of paper to make up the layers in each of the cityscape pieces that glints even when there is no light on it.